My recent reviews of the CRKT Minimalist and the Drifter have proven that CRKT is legitimate contender in the affordable EDC game. 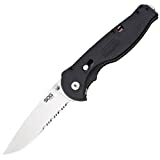 But for many this is old news as knives like the popular CRKT M16 have been around for years delivering excellent every day performance at a price that can’t be ignored. In fact, I’m no stranger to the M16. I owned one years ago (a small black tanto version) and for around $20 it provided me with years of trusty service. At one point I thought that I lost the knife, but several years later I found it in the pocket of one of my fishing bags. In between losing and finding my original M16, I picked up the one shown here – a medium size version with a spearpoint blade and flashy orange handle scales. 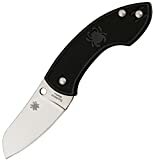 This is a very popular knife from CRKT. Designed by Kit Carson, this blade comes in a variety of sizes suitable for EDC all the way up to Tactical applications. My old M16 was pretty small but I feel like the medium sized one straddles the EDC / tactical gap nicely with it’s 3.5 blade and 3.5 ounce carry weight. As I said before, the exact dimensions will vary slightly depending on the exact model you select. There are so many variations I’m not going to even bother trying to cover them all, instead focusing on materials, fit and finish, and other more general aspects of the knives. The exact model in my review is a M16-13ZER and it has a 3.5″ blade, an overall length of 8.25″ and a weight of 3.5 ounces. This is the middle of the road for the M16 series as CRKT makes versions that are both smaller and larger than the 13ZER. My model came with a spear point blade, although you also have the option of a tanto. I like the spear point because it has a great tip and a decent amount of belly. It’s not really my first choice for EDC, as I do like having even more belly, but it will get the job done fine. The knife comes with a hollow grind and the option of serrations. I found the edge on my knife to be very asymmetrical – it’s almost like the knife has a chisel grind. CRKT states that they grind the knives this way to avoid thinning the serrations. While it may look a little different, my knife came very sharp; shaving hair and zipping through paper without an issue. CRKT has offered the M16 in a variety of different blade steels over the years. The knife pictured here comes in AUS4, which is a lower end version of AUS8 (there is less carbon in AUS 4 than AUS 8, and the amount of carbon impacts edge retention and ease of sharpening). Performance on this AUS 4 blade is nothing to write home about. As of 2015 it looks like CRKT is now offering this in AUS 8, which is fine for the price. AUS 8 is a hearty inexpensive steel that takes a good edge, has decent edge retention, is easy to sharpen, and is relatively stain resistant. I would suggest acquiring this knife in AUS 8 steel or better if possible. Depending on the knife your M16 may come in aluminum or even titanium scales. For most people (including the knife shown here) the scales are made of Zytel (plastic) over full stainless liners. I don’t mind the Zytel scales as they are comfortable and help keep the knife light. I really like the choice in colors, I thought the orange version was cool (and practical, being a highly visible color) and kind of gives the knife a “rescue blade” vibe. A series of holes in the handle forms a basic yet attractive pattern. These holes will attract dirt and pocket lint and in my mind serve a purely decorative purpose on the FRN scaled versions. Ergonomics on my medium sized M16 are nice. The reason I like the medium sized version (the M16-13Z) is because it has a larger handle allowing for a full grip. The zytel scales give the knife some thickness and the corners are nicely rounded so it comfortably fills the hand. The spine of the blade has some fairly aggressive jimping and the flipper forms an integral guard that keeps your hand from slipping onto the blade. These are nice ergonomic features on an otherwise basic (but highly functional) handle. I am a little ambivalent about the pocket clip. The design is nice – it’s a simple clip that rides low and has good retention, but it’s located for right side tip down carry only. At the very least I’d like to see an option for tip up carry – let alone fully ambidextrous mounting options. Still, this medium size M16 carries reasonably for its size. Deployment of the M16 is absolutely stellar. The first time I deployed the blade I literally had to check if it was an assisted opening knife – it’s that smooth and fast. Upon closer inspection it looks like the M16 uses a teflon and phosphor bronze washer. Whatever it is, it works and I’m not complaining. Deployment is accomplished by way of a flipper. At first glance it looks like the knife has 2 large thumb studs, but these are actually stop pins mounted in the blade. They sit flush with the handle and cannot be easily activated with the thumb. This is fine as I happen to like flippers. The M16 uses a liner lock and it bites in nice and early. There is plenty of room for wear and I detected zero blade play. However, this is not your normal liner lock. This lock has been equipped with CRKT’s Auto LAWKS safety system. The Auto LAWKS system requires you to pull back a lever before you can disengage the lock – handy for aggressive use, but also a source of mild inconvenience for simple tasks. In fact, I know that for a lot of people, the Auto LAWKS is pretty annoying. Personally, I can deal with it, but would much prefer if it wasn’t spring loaded – so you could turn it on and off at will.That said, if it really bothers you you could take the knife apart and remove the LAWKS all together. So how does the M16 stack up? Well, I’m sure for many the tip down carry and Auto LAWKS will be mild to moderate turn offs. It is not that hard to use, and some people have managed to disable the secondary locking system. Auto LAWKS aside, this is a good budget EDC option. I would avoid any AUS 4 versions and recommend acquiring the knife in AUS 8 steel or better. At the end of the day there is a lot to like about the M16. 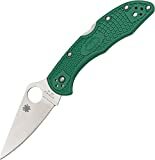 It is one of CRKT’s oldest and most popular designs. The snappy deployment is a lot of fun and the fit and finish is nice. There are many different colors, blade shapes, and configurations so there is some element of collect-ability here as well. All in all the knife is solid and the price is right. Recommended if you secure one in AUS 8 steel or better. I recommend buying the M16 at Amazon or BladeHQ. Please consider that purchasing anything through any of the links on this website helps support BladeReviews.com, and keeps the site going. As always, any and all support is greatly appreciated. Thank you very much.